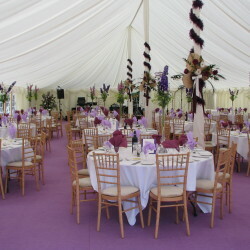 Whilst not being the most striking of features, the marquee flooring is in many ways one of the most crucial ingredients from a practical viewpoint. 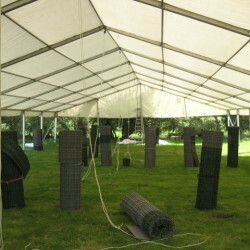 As the British weather becomes increasingly unpredictable, it is imperative to pick a ground covering that will not flood, disintegrate or cause serious injury. 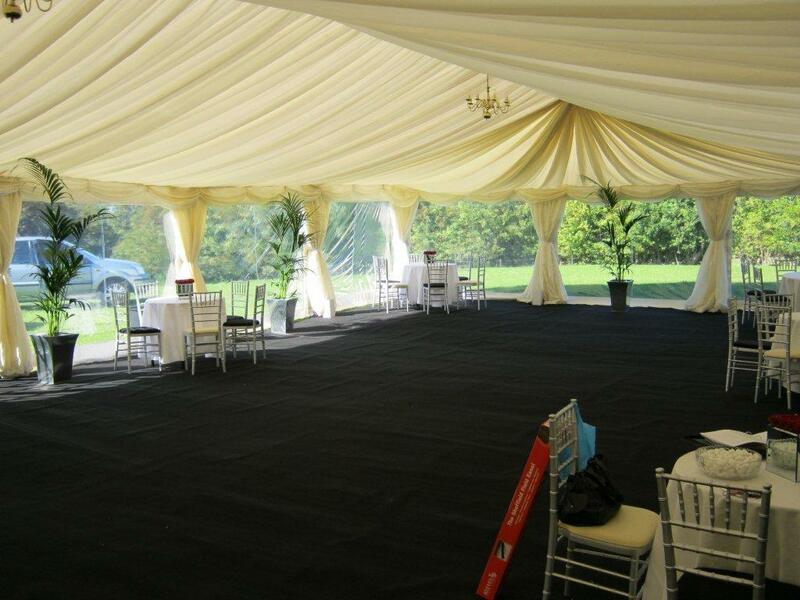 We now hold a stock of floor coverings to cope with all eventualities, if necessary offering the flexibility to change course at very short notice. 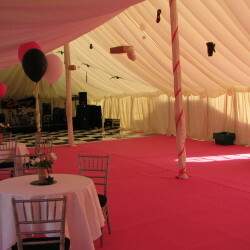 In addition we are confident that we offer one of the widest ranges of carpet colours in our area. 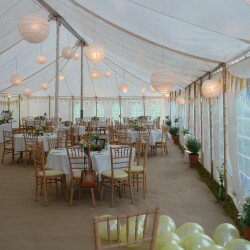 All the available options are listed below, starting with the cheapest first, and with some common applications for each. 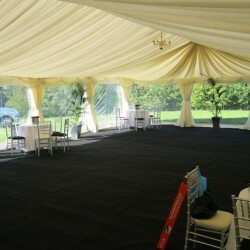 A waterproof sheet is laid down first to protect the carpet from moisture beneath the surface. 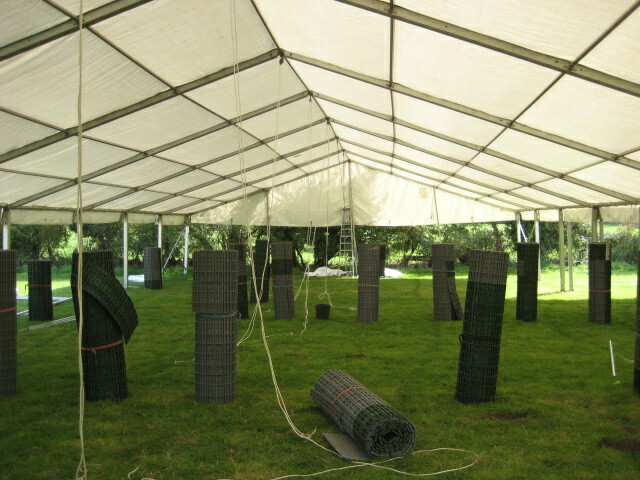 Carpet is laid on top of this and nailed into the ground. 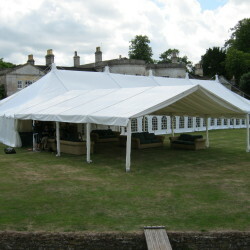 Good on flat lawns but can be dangerous on more undulating or bumpy ground. 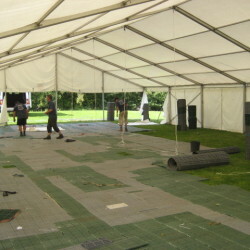 Eventfloor is a hard wearing green plastic rollout flooring, about 16mm in height, which allows air to run through it and if laid on tarmac allows water to run under it. 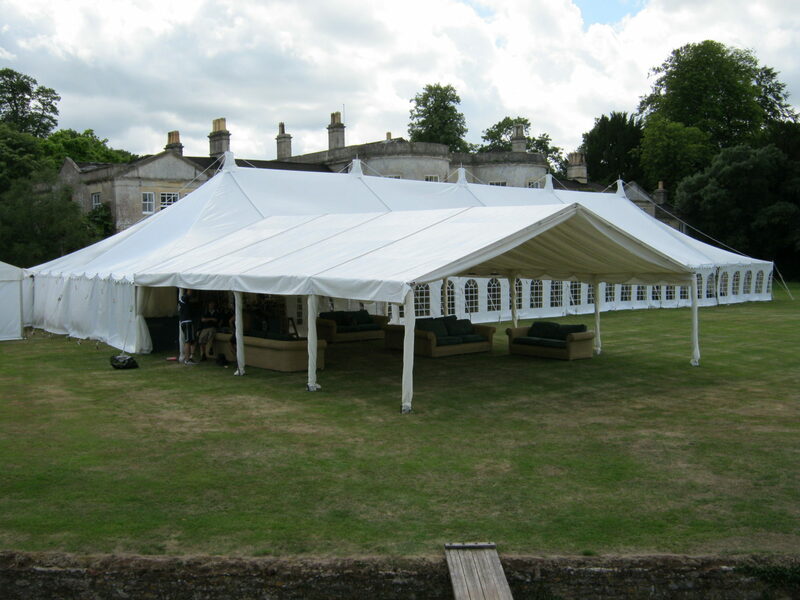 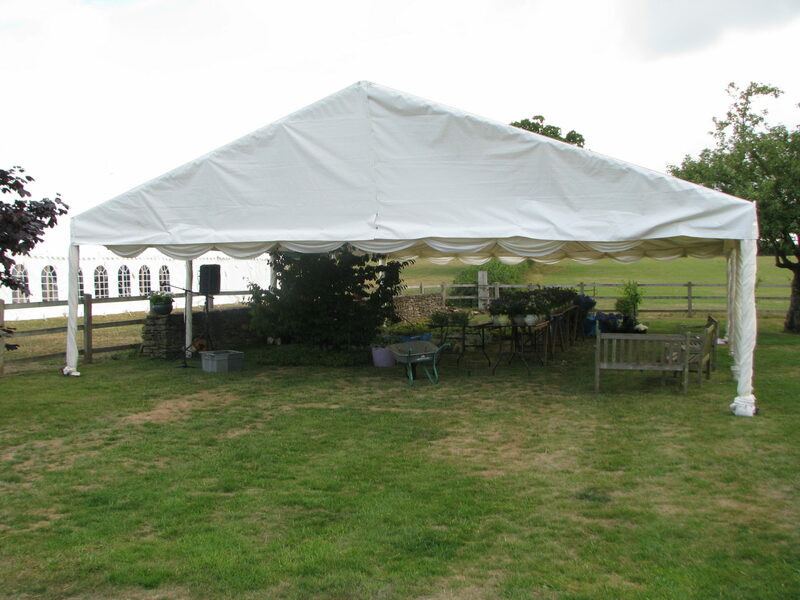 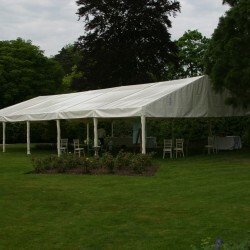 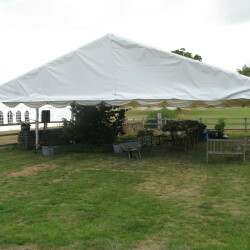 Consequently we normally advise it is used on grass or in fields at weddings and more formal events, on any site where the ground is uneven or damp, or on tarmac or hard driveways where rainflow across the marquee is possible. 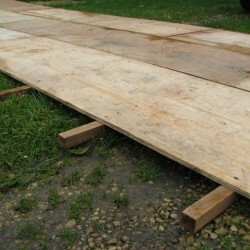 The most durable option, 8’ x 2’ plywood boards on 1½” battens, which interlock to form a perfectly flat, hard surface. 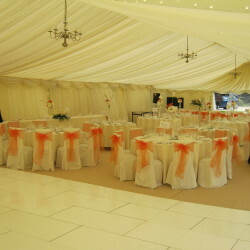 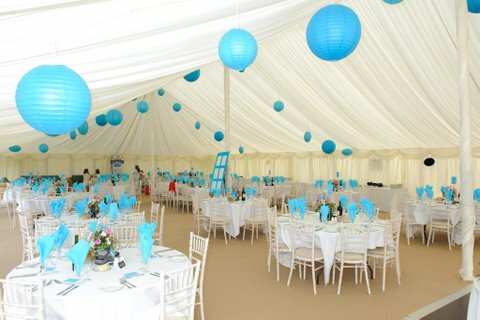 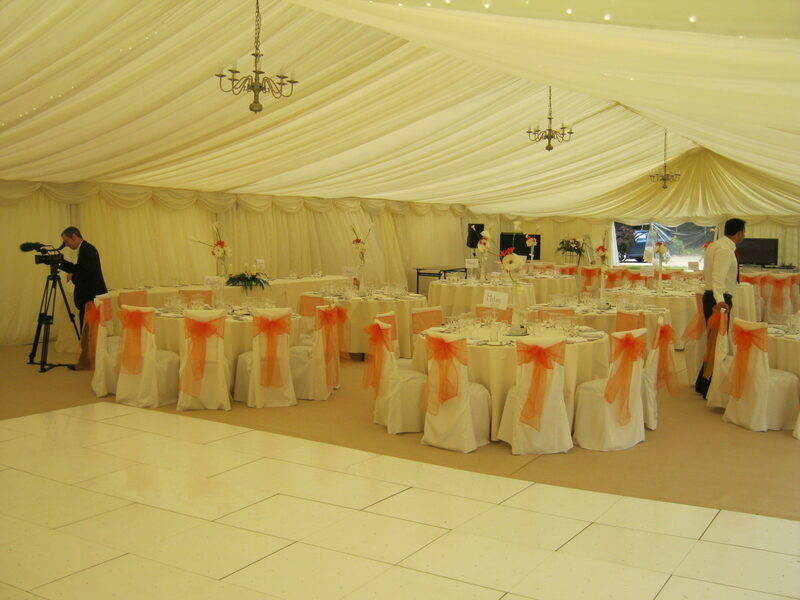 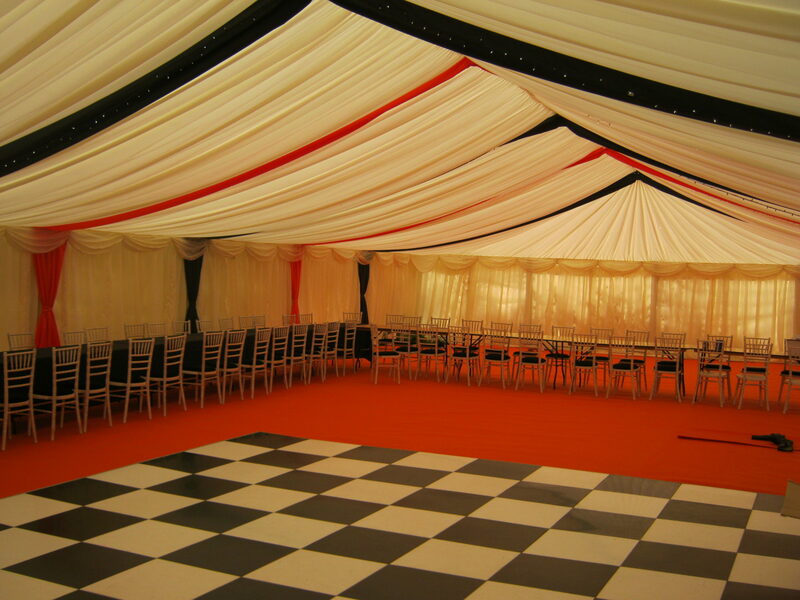 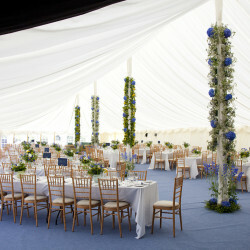 The colour of the carpet can dramatically alter the ‘feel’ of a marquee, and at a fraction of the cost of many ‘decor’ options. 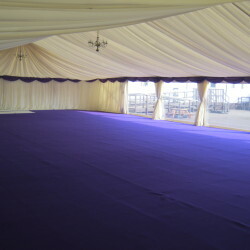 We offer carpet either as brand new ‘off the roll’ or, according to availability, as a used option which will have done one or two events previously. 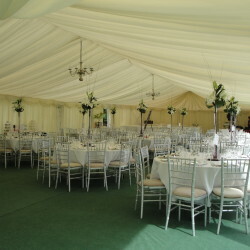 We always have green available as this is a cheaper option, and also usually black or dark blue. 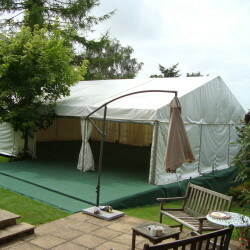 We have now worked on a number of occasions with a local scaffolding company to level sloping gardens. 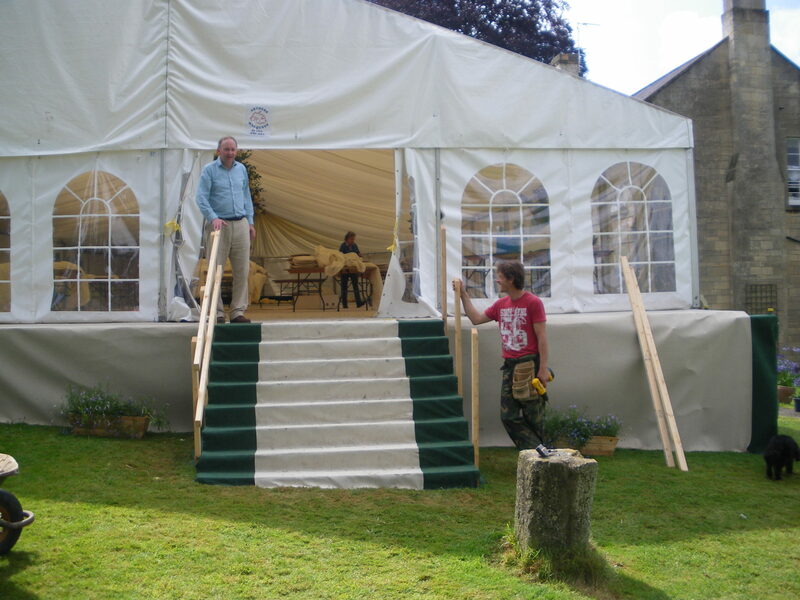 Once the scaffolding is installed we lay a wooden floor over the scaffold boards to create a perfectly level and sturdy base. 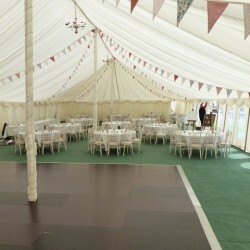 Our basic wooden dancefloors are made up of 8’ x 2’ dark brown panels that interlock and are surrounded by an aluminium edging. 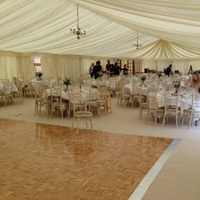 We also have a light oak parquet dancefloor. 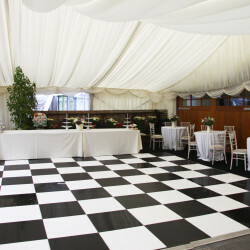 Black and white dancefloors make up a chequer board pattern with 2’ x 2’ sections, again with a metal edging. 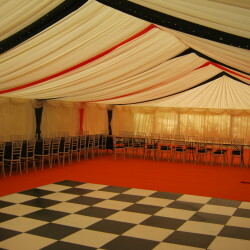 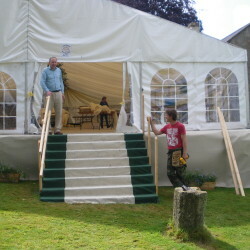 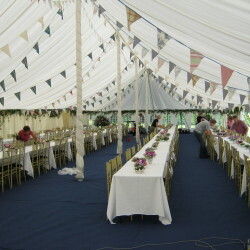 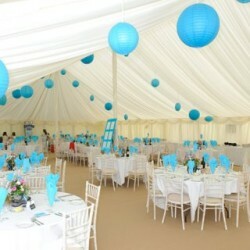 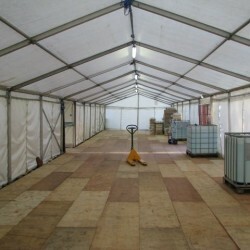 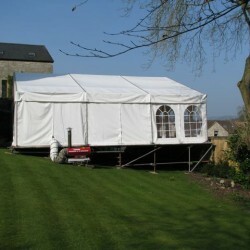 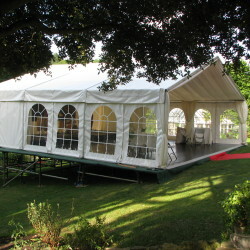 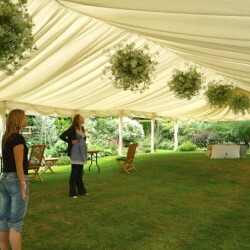 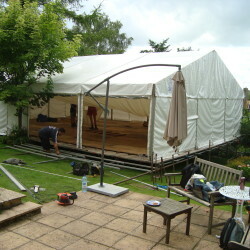 In addition we will happily hire in any other dancefloor our customers desire – mirrored, white, with built-in lights etc!